The view of the Ligurian Coast from La Terrazza at Hotel Splendido in Portofino. All photos by Nick Papa. You’ve heard of Italy's Cinque Terre. But to experience the Italian Riviera as something other than a touristy (or costly) affair, just head north to Santa Margherita Ligure. Fathom contributor Nick Papa goes beyond the packed towns to uncover the laid-back, local charm of Liguria. 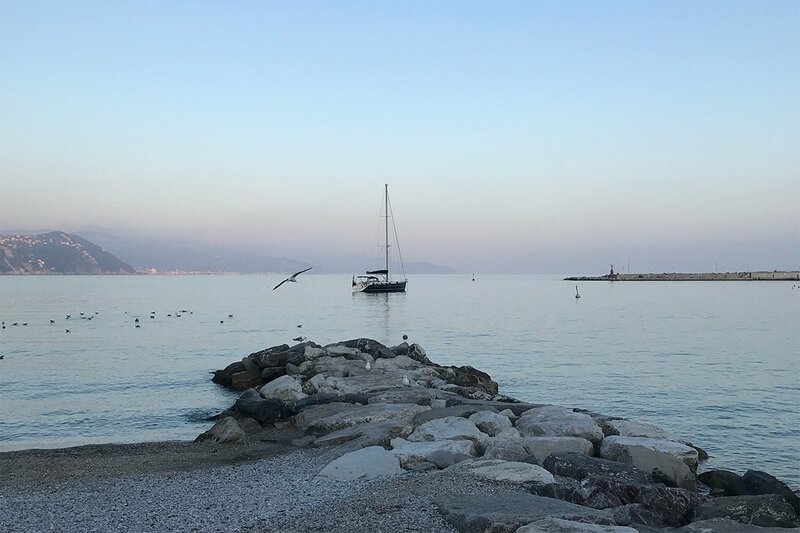 LIGURIA, Italy — In 1907, my great-great-grandfather Giuseppe DiMartini traded his home in the hills above Santa Margherita Ligure for the busy streets of New York, leaving behind the coastal calm of Liguria in northern Italy. In the 1950s, the international jet set discovered the region, replacing fishing with tourism as the mainstay of the local economy. To this day, travelers continue to seek la dolce vita along the Riviera — most often in tourist towns like Cinque Terre and sprawling villas scattered up and down the coast. But as my most recent trip revealed, the so-called sweet life is found by doing (and spending) almost nothing at all. The coast of Santa Margherita Ligure. Italians start the day with a quick espresso. In Santa Margherita Ligure, they linger over their morning coffee with a slice of focaccia Genovese, which is typical of the area. The freshest bread comes from Panificio Fiordiponti, a bakery that prides itself on following ancient Ligurian recipes. They claim there’s no highly guarded secret — just olive oil and salt brushed on the dough before the final leavening — but to taste this focaccia is to know there must be something more. 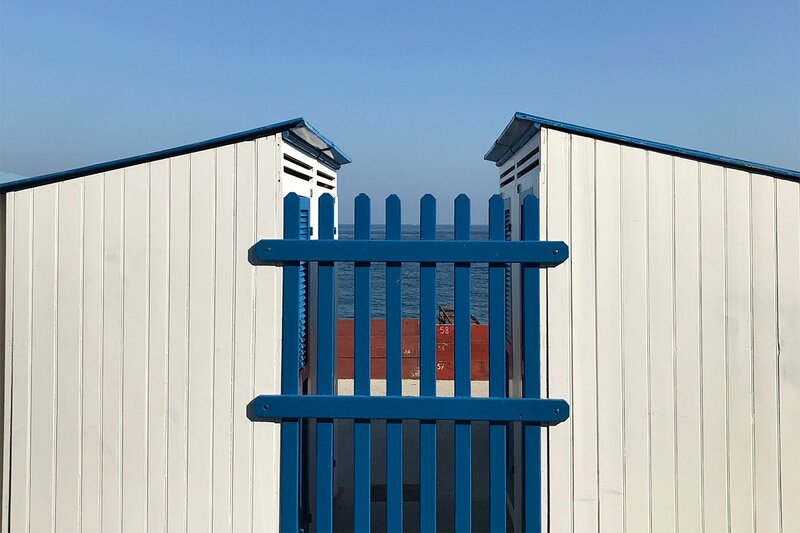 Bath houses at the beach in Santa Margherita Ligure. Life in Liguria moves at a leisurely pace. Santa Margherita Ligure has no centro storico packed with ancient landmarks or cultural activities to tick off a checklist. A short climb to the top of Castello di Santa Margherita Ligure (Salita al Castello 1; +39-0185-293135) offers a glimpse into the centuries-old citrus gardens of Villa Durazzo, built into the steep hills above the town. Further below, several beaches with early 20th-century bath houses look like a Wes Anderson-inspired movie set. The perfectly tiny beach on the Baia di Paraggi. It’s easy to while away the afternoon wandering the seafront. 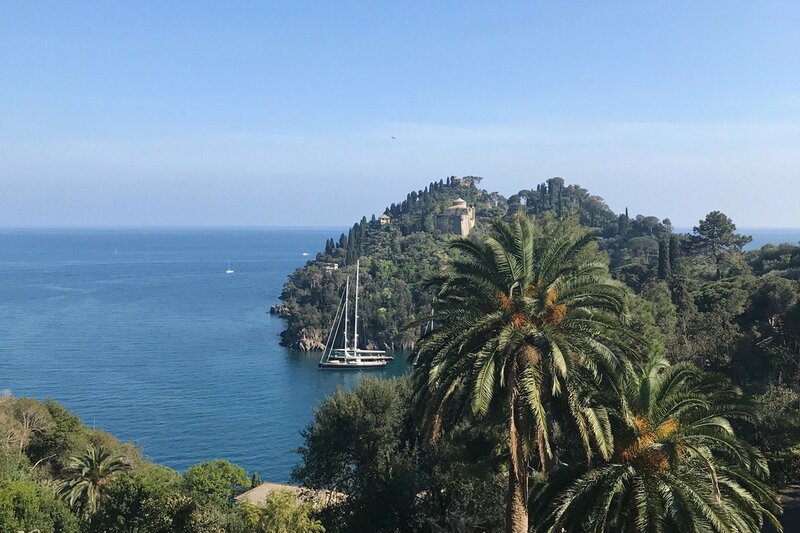 A long walk toward Portofino offers nothing more than salty air, sea breeze, and sun in the sky — until a bend in the jagged coastline reveals the Baia di Paraggi. The picturesque bay harbors a tiny slice of sand once frequented by Maria Callas, Frank Sinatra, and Rex Harrison. At the western edge of the beach, Le Carillon, a circa-1930s bathhouse, is a restaurant by day and disco by night. Le Carillon offers the ultimate deck-chair view. It’s rare to hear Italians say buon pomeriggio (good afternoon). Around dusk, the greeting jumps from buongiorno to buona sera. The theory goes that afternoon passes without a thought thanks to the daily aperitivo, a tradition that started in northern Italy. 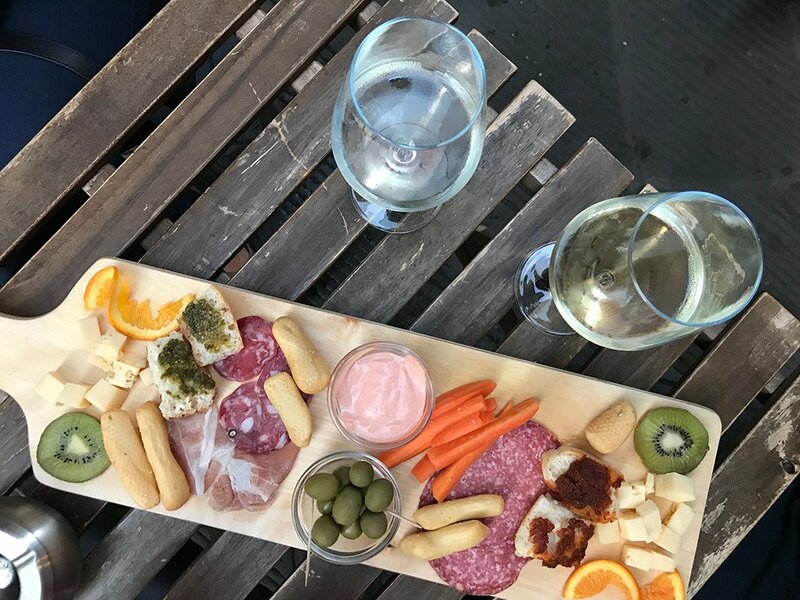 Olives and potato chips are standard with drinks during Italian happy hour anywhere in the country, but at La Vineria Macchiavello, open since 1910, a board of charcuterie, cheese, and bread with pesto comes complimentary with a €5 glass of wine. Aperitivo at La Vineria Macchiavello. Seafood is the local speciality in Liguria, so meals are lighter and fresher than in, say, Italy’s oft-proclaimed food capital Bologna, known for its namesake Bolognese sauce. At Trattoria dei Pescatori (Via Tommaso Bottaro 43; +39-0185-286747), local fishmongers have supplied the catch of the day for more than a century. It’s easy to try it all by starting with the fritto misto — a dish of fried sardines, shrimp, sea scallops, and squid served with lemon wedges and tartar sauce. Restaurants line the historic marina in Portofino. 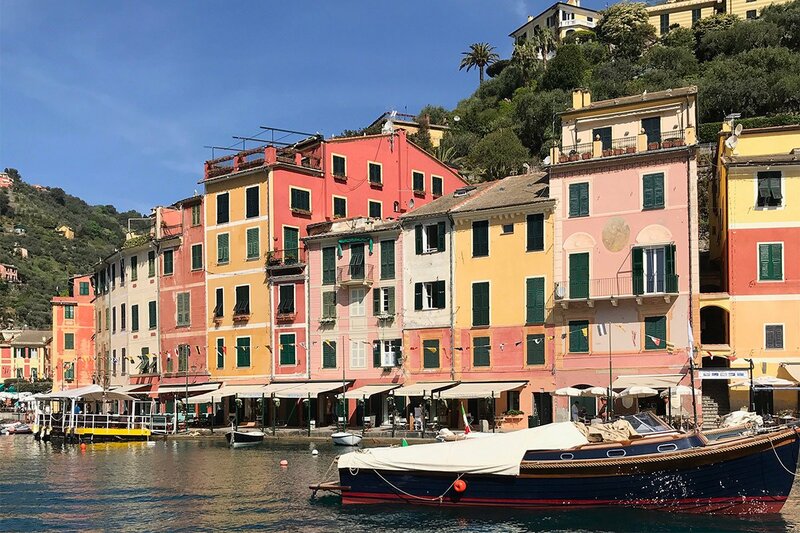 Famous Portofino is known for its luxury boutiques and trendy restaurants, but there’s more to this town than relentless chichi. Even the ultra-luxe Hotel Splendido has a backstory. 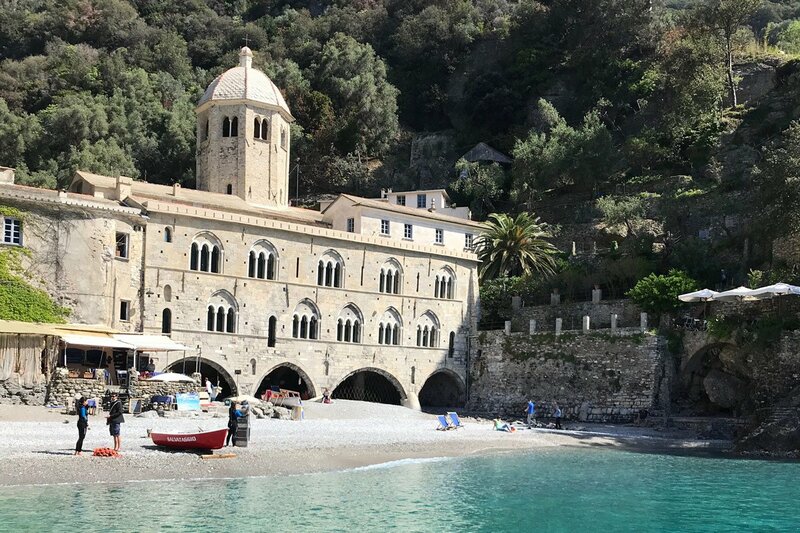 Before it boasted a star-studded guest list (including the Duke of Windsor, Humphrey Bogart, and Elizabeth Taylor) it was a monastery — ransacked by pirates and abandoned for hundreds of years until it was turned into a hotel in 1902. 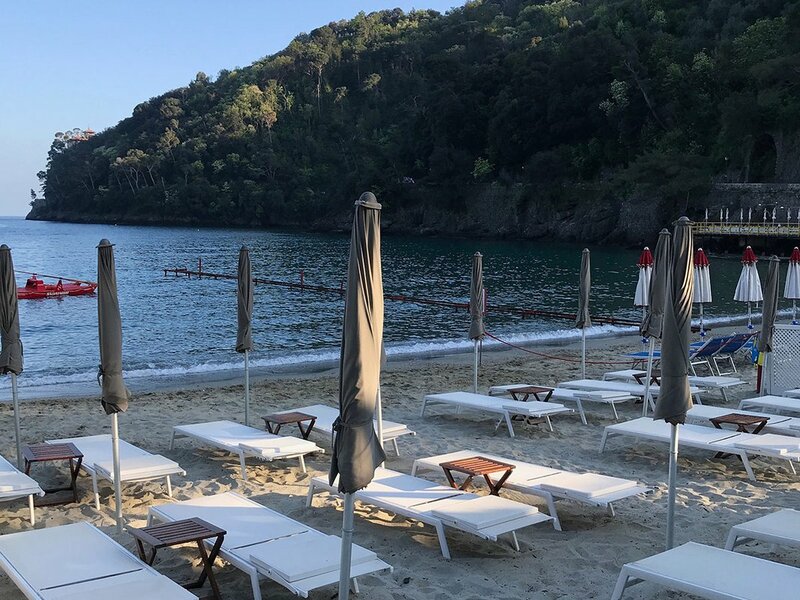 Luxury flag Belmond now manages the historic property, making it a pricy place to sleep, but dining al fresco at La Terrazza restaurant is an unrepeatable culinary experience with unbeatable views to match. 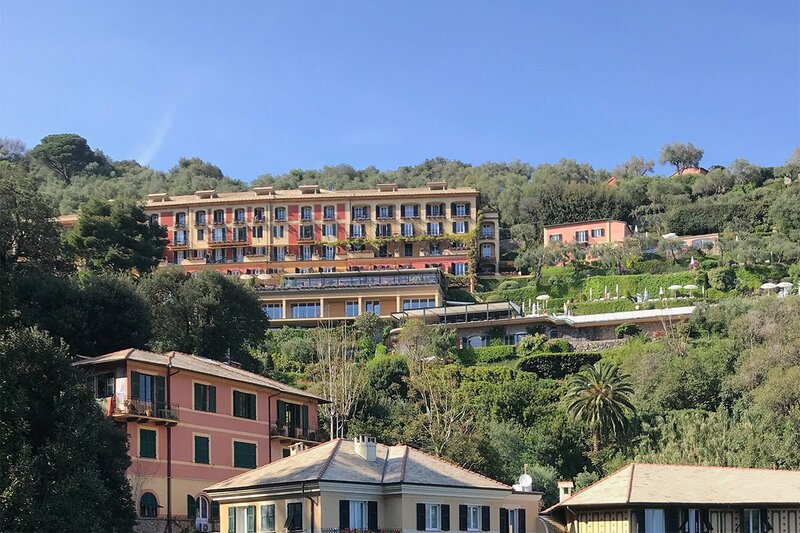 The iconic Hotel Splendido in the hills above Portofino. Piazza Martiri dell’Olivetta, the town’s main square, slopes right down into the water of the historic Marina di Portofino. As fishermen set out, commuter boats ferry locals and visitors in from Santa Margherita Ligure. This juxtaposition of traditions old and new is best observed with an espresso or gelato at a table outside the many bars and cafes in the piazza. From Piazza Martiri dell’Olivetta, a 20-minute walk under the Mediterranean pines capping the rocky peninsula is a journey back in time. From the marina, ancient steps lead up to Chiesa di San Giorgio, a Baroque-style church that is said to be the final resting place of Saint George, brought to Portofino by sailors returning from the Crusades. The path continues to Castello Brown, the Medieval fortress that protected Portofino until the unification of Italy in the 19th century. And at the end of the peninsula, Faro di Portofino, an active lighthouse, stands tall where the cliffs drop off into the Ligurian Sea. The only change to the lighthouse in the last 100 years: The addition of a cocktail bar facing the ocean. Approaching San Fruttuoso on the ferry. No trip to the Italian Riviera is complete without experiencing la dolce far niente, the sweetness of doing nothing. Ligurians do this best at the beach. Cut off from Santa Margherita and Portofino by steep, wooded hills, secluded San Fruttuoso is a medieval abbey with a small, rocky beach. A ferry is the only way in and out, making it an ideal spot to escape the crowds and spend a day off the grid. The beach scene at San Fruttuoso. There’s no town beyond the abbey, save a few restaurants perched precariously in the cliffs above the beach. 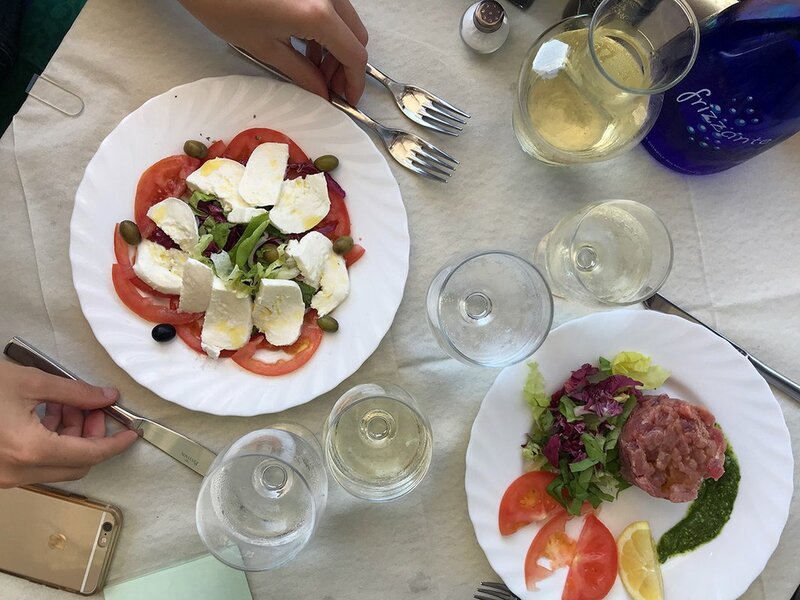 The simple menu of fish, pasta, and wine at no-frills Ristorante Da Giorgio is the stuff of dreams, as is the pesto, another Ligurian specialty that originated in nearby Genoa and is worked into many of the dishes on the menu. And with sweeping views of the Ligurian Sea, Da Giorgio is the kind of spot where, in typical Italian fashion, meals go on for hours. As great-great-grandfather Giuseppe's son Joe used to say, "Don’t hurry, don’t worry." That’s la dolce vita. Da Giorgio restaurant in San Fruttuoso. You can find entire homes and apartments in Santa Margherita Ligure on Airbnb for well under $100 a night. Aside from being the most affordable option, living like a local is the best way to experience the Ligurian lifestyle. But if you want to stay at a hotel, the four-star Lido Palace Hotel, housed in a Liberty-style Italian Art Nouveau building typical of the region, has rooms starting at $105 a night. 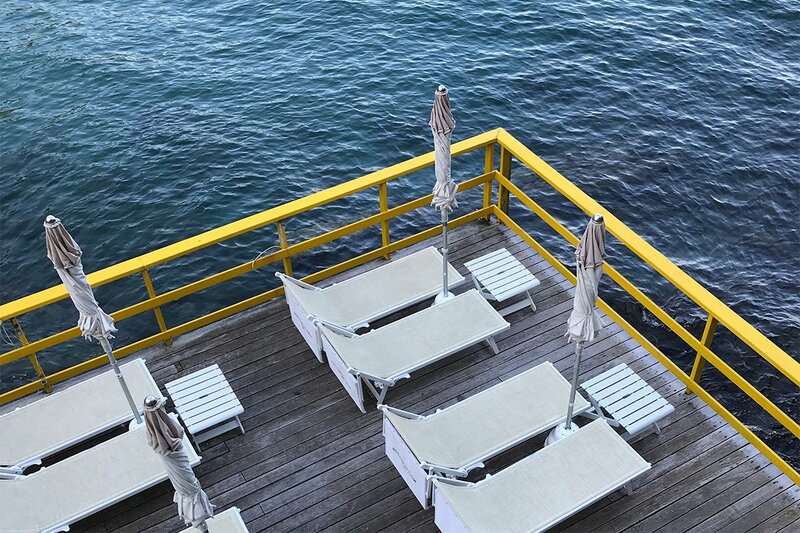 All of them have views of the sea and are just steps from the beach in the center of town. Nick is a writer and editor based in Brooklyn. Formerly an editor at travel sites CheapOair and Booking.com, he writes about the best places to eat, drink and sleep in cities around the world. You can follow him on Instagram and Twitter. He travels for good conversations with locals, good food, and good drinks — hopefully in that order.